Are You Game to Try Game? Do as the Nagano-ites Do and Eat Wild Game Meat. Nagano Prefecture is one of the most heavily-forested prefectures in Japan. Over 20% is designated as National Park land. So it is natural that deer, wild boar and bear meat have a presence in Nagano's culinary heritage. For those who savor meat from the wild side, Nagano is the place for you. And Gotoku-tei near Nagano Station has a wide selection of gibier on their menu. 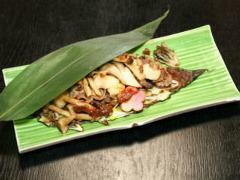 Gibier (aka wild game meat) is often eaten in Nagano especially from fall into early winter, the main hunting season. The Oshika Village area is noted for having a strong tradition of dining on deer, wild boar and bear meat, a tradition going back for many generations. Nowadays, wild game meat has become highly regarded for its healthy attributes, being high in protein and low in fat. It is commonly served in stews,curries and other popular dishes. Here in Nagano Prefecture, their own set of hygiene standards for wild game meat preparation have been established, so more people can safely enjoy this delicacy. 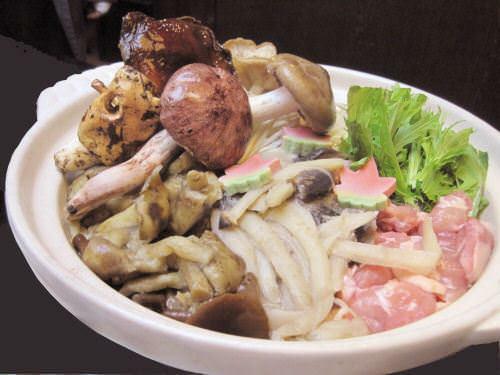 Gotaku-tei Restaurant by Nagano Station offers gibier on their menu on a regular basis, for your enjoyment! Varies. Dinner set menu from 2000. Basic English available. Menu availability varies by season. From Nagano Station(JR Hokuriku(Nagano) Shinkansen), From Zenkoji Exit, go northeast on Odori 2 blocks to Chitose Koen signal and turn right. At the "T" the restaurant will be on the near left corner in the basement. From Nagano IC, Route 35 / Route 117 to the city center.